I work with video, sound, photography, text and matter. My works are usually spatial installations. An important part of my work is creating the content of the work together with people from different positions and backgrounds. I’m interested in the relationship between sense of sight and other senses as well as translations between visual world and language. 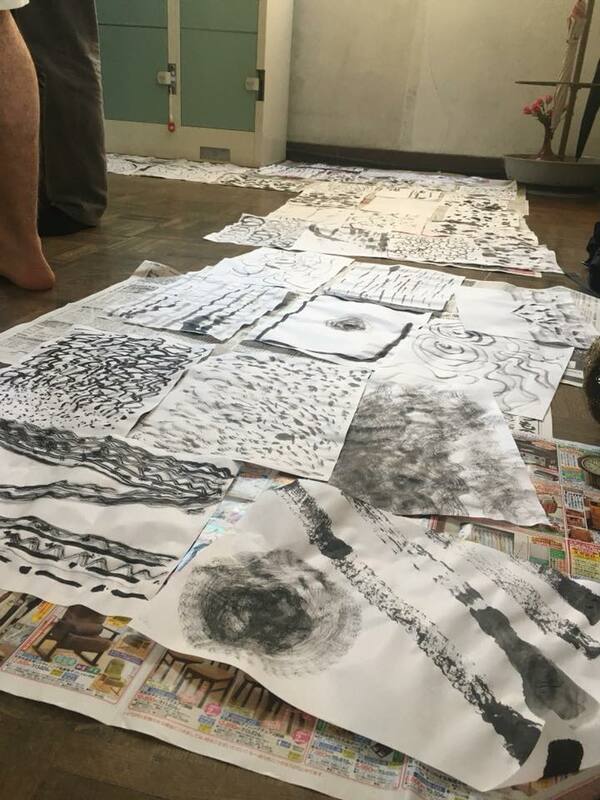 I have a project that I would like produce during the residency that would include interaction with the local community and people from different age groups. I will present the project idea here shortly. 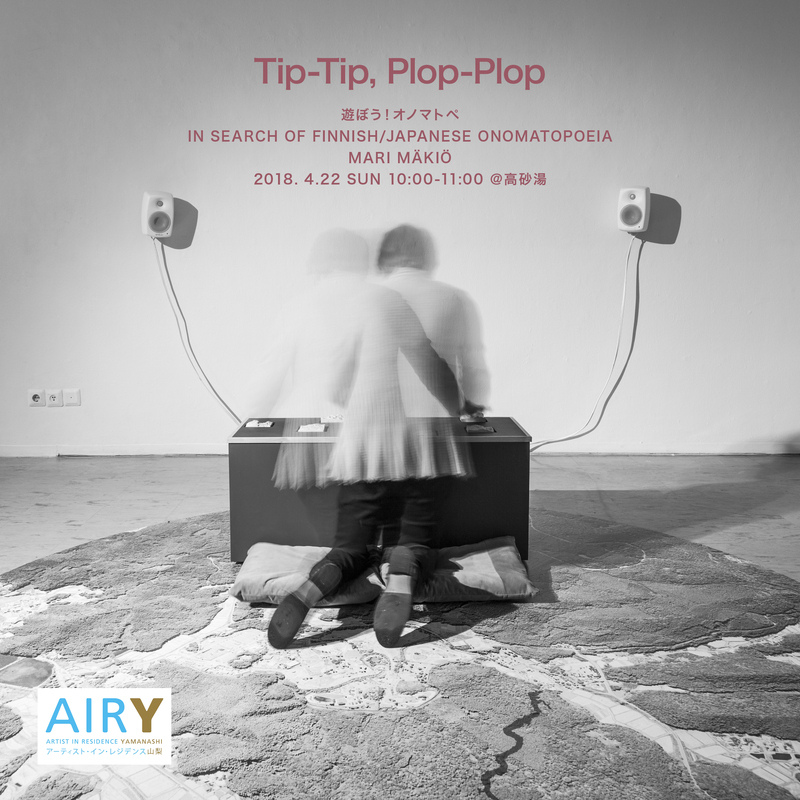 During the residency I will do research and produce a new work that is connected to Japanese language and its onomatopoeic qualities. I’m interested in onomatopoeia and the differences in it within different languages even when the underlying sound which the onomatopoeia is imitating is roughly the same in each place. I’m interested to discover if onomatopoeia can tell something about a certain culture through the use of sound. I have started to do research about the onomatopoeic qualities in Finnish language and especially onomatopoeia connected to sounds of nature. I find there are some cultural similarities between Japan and Finland and I think both of the cultures have a strong connection to water. That is why I want to concentrate on collecting onomatopoeic words connected to water both in Japanese and Finnish languages. I’m looking for the similarities and differences between them and what kind of connections and feelings the words can carry depending on your knowledge of the language. 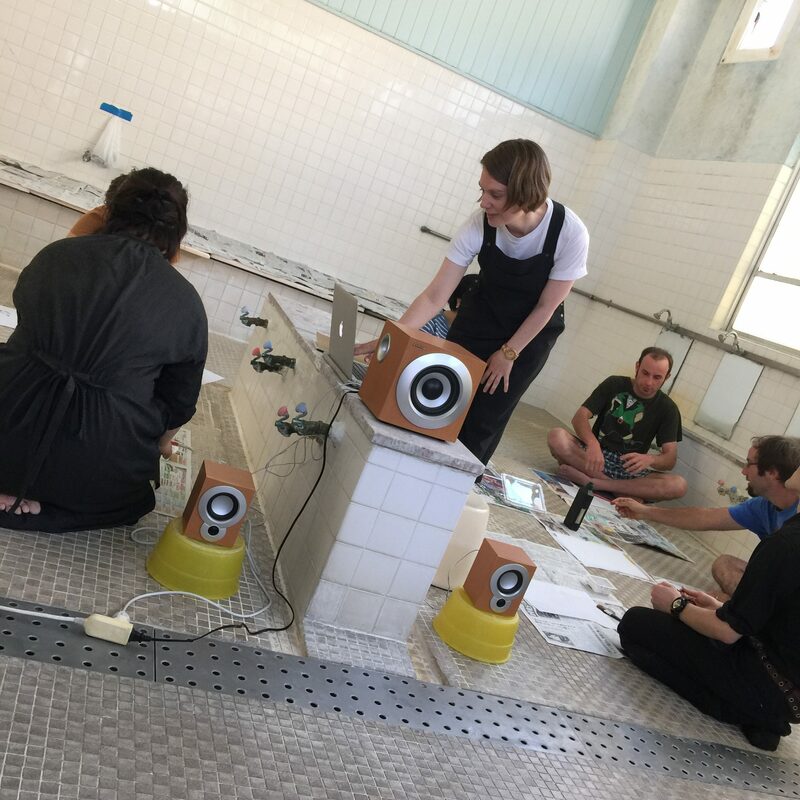 During the residency I will collect Japanese onomatopoeic sounds connected to the sounds of water. I will record different persons from different ages performing the sounds. I will then combine them with the Finnish onomatopoeic sounds I have recorded before the residency. The final outcome of the work will be a spatial installation, where the different sound sources will create a spatial flow of onomatopoeic sounds of water mixing the two languages together. In the workshop Tip-Tip, Plop-Plop – In Search of Finnish Onomatopoeia we will listen to Finnish onomatopoeic* sounds imitating the sounds of water performed by Finnish people. While listening we will think about the feelings and images they evoke and try to draw and paint them on paper. 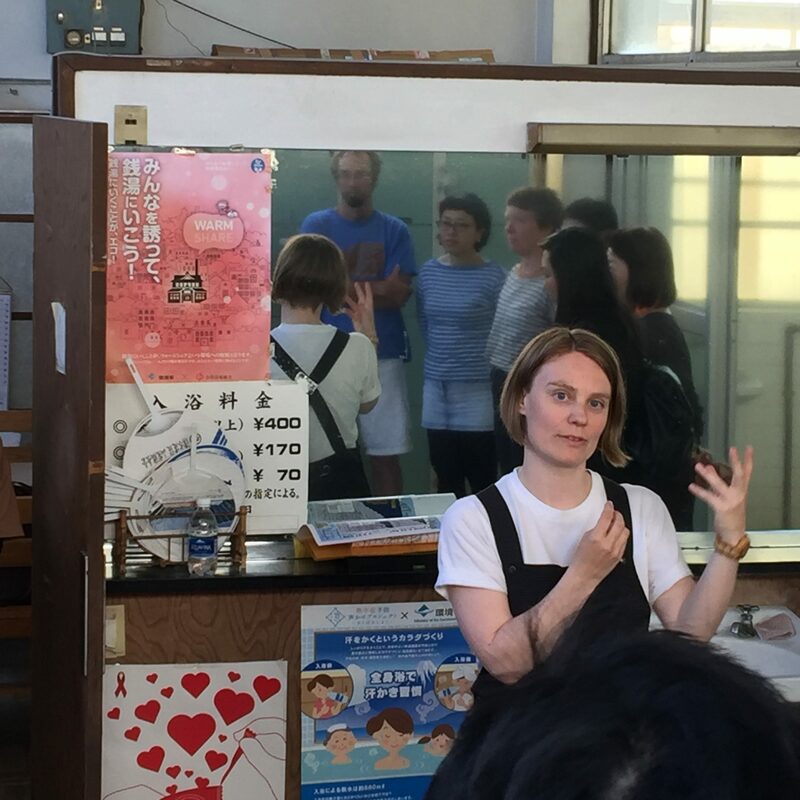 At the end of the workshop we will go through the results discussing the images evoked by the sounds and think about the differences and similarities between Finnish and Japanese language and culture. 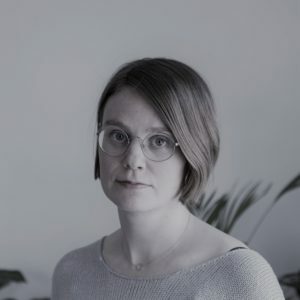 The workshop is part of the artistic research of artist Mari Mäkiö and the results of the workshop will act as an inspiration for her sound installation that will be presented at an exhibition at Takasago-Yu Onsen at the end of May. The workshop is open to people of all ages. *Onomatopoeic is a word that imitates, resembles or suggests the sound that it describes.